Sometimes, it’s nice to just get in a car and take a mountain drive. There’s nothing like the freedom to explore an area at one’s own pace, stopping at scenic viewpoints, lunching at an out of the way café, eating pomegranates while watching the sunset, or hanging out with shepherds watering their sheep. Unfortunately, Peace Corps has very strict rules prohibiting volunteers operating motor vehicles. So, what’s a volunteer to do? Befriend French volunteers! In our site, there are two amazing young women, Lucie Lou and Magali, who work with several local organizations on behalf of the French government. Thankfully, they are required to observe much looser guidelines and are actually provided an allowance to cover car rental. So, Noa and I spent the day driving through small villages amidst the Atlas Mountains. Farms surround an older mosque. 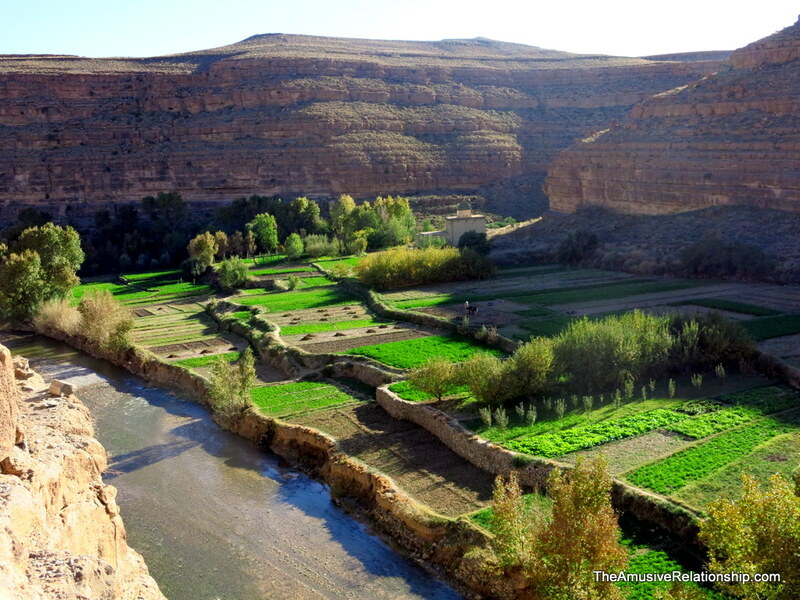 Passing through Todgha Gorge, the road opens up into high plains that lie between mountain ranges. The ancient geology is breathtaking. It being a relatively low-traffic area, bridges are rare, so nearly a dozen times we needed to ford a flowing river. 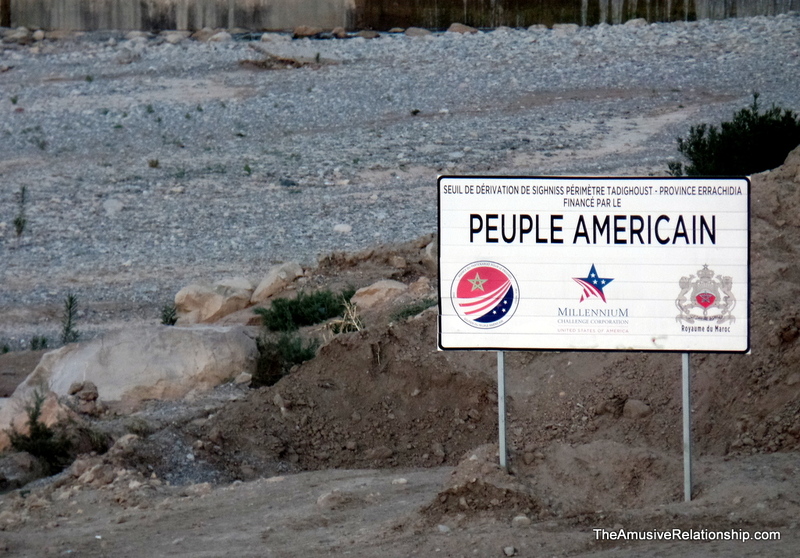 At one point, closer toward Goulmima, we came across an irrigation projects being built in coordination with, and sponsored by, the “American People (note the sign). Below are additional photos from our outing. Just caught up with this post. Gorgeous (pun intended). Thanks.